We offer a range of training courses to meet a broad variety of needs. Developed by experts, our training is of the highest standard and is created and delivered by individuals with lived experience allowing us to give our delegates a very real insight into the world of Disability. 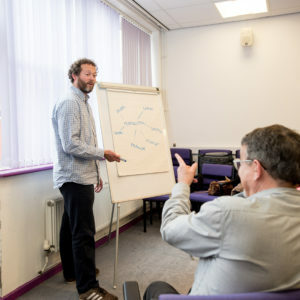 SPECTRUM training courses can be provided at our full y accessible conference and meeting facilities in Southampton or at a venue to suit you. For more information about our facilities, which are also available to hire, please see our Venue Hire and Office Space page. For more information, or to discuss your training requirements please contact our Training Co-ordinator Abdiwali Elmi who will be happy to help you.